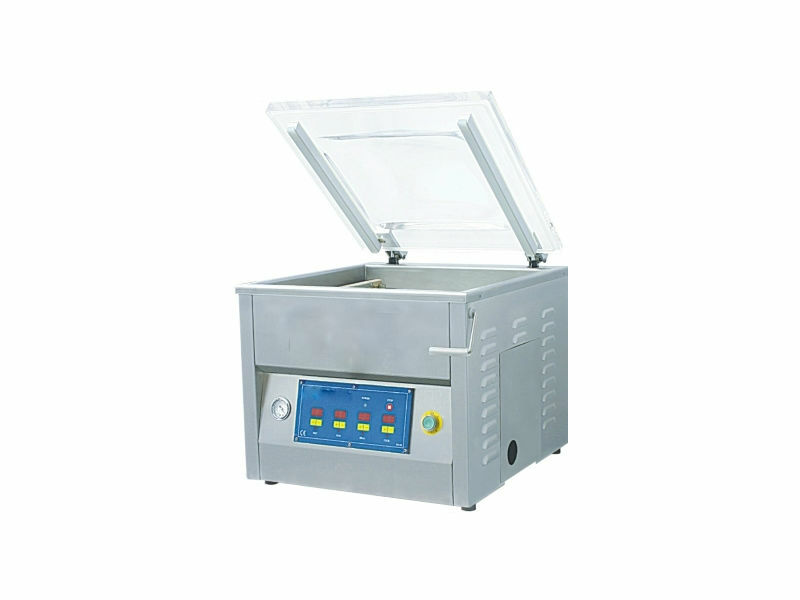 TC-420 Chamber Vacuum Sealer — Sealer Sales, Inc.
Our TC-420 vacuum sealer is a stainless steel vacuum chamber machine ideal for sealing vacuum pouches used in the pharmaceutical, food, or electronic industries. The unit does not need an external compressor for operation. Simply place vacuum pouch into chamber with the open edge across the sealing bar. Close the lid to start the cycle and the lid will automatically open when cycle is completed. Vacuum time ranges from 10-30 seconds. Optional features are available including, but not limited to: digital control panel, pump size, voltage, gas flush, soft air, custom chamber size and computerized water resistant control panel. Machines are ETL, UL, NSF, CE, and CSA Certified.. Machine is assembled in the US and the vacuum pump is a Busch vacuum pump. Chamber Depth 5" + 4"
Vacuum Chamber (W x L) 19.8" x 19.2"
Dimensions 20" x 21" x 21"